This former rectory is for sale for first time in more than 60 years. 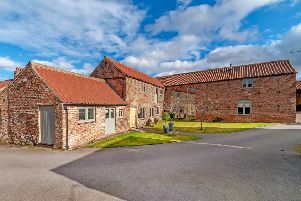 The impressive Grade II listed property enjoys an enviable village location close to the Yorkshire Dales. Dating back to the late 17th century, the extensive character-filled seven-bedroom property is arranged over four floors with additional cellar rooms. It also has a paddock, ha-ha, orchard, woodland totalling 2.82 acres, a linked cottage, stabling and outbuildings. Contact Dacre, Son & Hartley on 01765 605 151 or visit www.dacres.co.uk.